SINGAPORE: The haze in Singapore once again reached the hazardous level on Friday morning, with the 3-hour PSI reading hitting a new all-time high of 401 at noon. The latest reading surpassed the previous high of 371 recorded at 1pm on Thursday afternoon. General practitioner Philip Koh said he had seen a 20 per cent spike in consultations in the past week, and estimated that about 80 per cent of all his patients are suffering from haze-related ailments. "My patients are telling me they are worried about how long this is going to last and how much higher this is going to go. It is already high at 400 now, how much higher will it go?" he said. Hazy conditions are also expected this weekend, with dry weather and prevailing winds continuing to bring over dense smoke haze from fires in central Sumatra. According to the National Environment Agency, the 24-hour PSI forecast for Saturday is in the "very unhealthy" 200-300 range. SINGAPORE: Shipping companies warned Friday that the haze emanating from forest fires in Indonesia could lead to accidents in the busy Malacca and Singapore straits, risking a potentially devastating oil spill. The Singapore Shipping Association (SSA) said more than 140 ships, including oil tankers and passenger ferries, navigate the narrow waterways on any given day and reduced visibility due to the haze has made conditions dangerous. "The SSA is gravely concerned with the effects of the worsening hazy conditions on the safe navigation of ships through the Straits of Malacca and Singapore," it said. Daniel Tan, the trade body's executive director, said the Malacca and Singapore straits are among the busiest and narrowest shipping lanes in the world. "Reduced visibility in such heavy shipping traffic will definitely affect the safe navigation of ships in the straits," Tan said in a statement. "In the event of any unfortunate accident, human lives and the marine environment will be at risk, especially if it involves a fully laden VLCC (very large crude carriers)," he warned. "The oil spillage from the tanker can have serious consequences not only on the marine life in the straits but also affect the livelihood of fishermen and those who depend on the tourist industry." Haze from the forest fires in Indonesia's Sumatra island caused by slash-and-burn land-clearing activities has blanketed Singapore, parts of Malaysia and the straits this week. In Singapore, the pollution index reached a historic high of 401 at midday Friday as thick grey haze surrounded skyscrapers, crept through homes and shrouded streets for a fifth day running. Massive oil tankers, container ships, cruise liners as well as smaller crafts like passenger ferries, tugs and barges ply the straits daily. Many of the ships pass through Singapore, a global bunkering centre and one of the world's busiest ports. While ship captains are trained to navigate through foggy and stormy weather, transiting through the waterways "can be very challenging and dangerous especially under extreme smoky conditions," the SSA said. The Maritime and Port Authority of Singapore (MPA) said it has been broadcasting regular safety messages to all ships transiting the Singapore Strait and operating in the Port of Singapore since Monday. MPA said shipmasters are advised to navigate with caution in accordance with the International Regulations for Preventing Collisions at Sea. These include travelling at a safe speed to allow more time to assess the situation and posting additional look-outs. Other measures include displaying navigational lights and using appropriate sound signals to notify other ships of its presence. MPA has also issued port marine notices to remind the shipping and harbour craft communities to monitor the PSI level. It has asked them to follow the Ministry of Manpower's guidelines for the protection of employees against effects of haze at workplaces. MPA noted that port operations in Singapore continued with no significant delays, despite the additional measures taken. SINGAPORE: N95 face masks used for protection against the haze in Singapore are sold out at many shops across Singapore. Some netizens have also reported seeing masks sold for S$10, when the usual price is around S$2 or S$3. Masks are also selling out online, owing to high demand. The Health Ministry has urged Singaporeans to be patient, as it works with suppliers to speed up deliveries to shops. Adrian Lo, director of Singapore Test Services, said: "The frustration is definitely there as a citizen. But I know the challenges of distribution so we just have to be patient and then hope the government intervenes and do something to spread out the availability of the masks." Dr Ng Eng Hen, chair of the Haze Inter-Ministerial Committee, added the government will supply retail outlets with more masks and that NTUC FairPrice will get the stocks next week. The FairPrice chain of stores said close to two million masks will be re-stocked from Monday across all its 115 outlets. Dr Ng said: "NTUC FairPrice will cap the price of these masks, but also limit the number that each person can buy. Because when people buy more, they create more demand and artificial shortages, so they will cap the price and limit the numbers that each person can buy." More than 1.5 million N95 masks are also on their way to being delivered to retail pharmacies. SINGAPORE: Economists said the thick haze that is shrouding Singapore could potentially cast a pall over its economic growth if the situation does not improve in the coming months. CIMB Research estimated that for each day the haze lingers, over S$60 million in tourism receipts could be at stake. klapsons The Boutique Hotel, located in Singapore's central business district, has shut two outdoor dining outlets for now as air quality remains in the unhealthy range. The two outlets contribute about 40 per cent of the hotel's revenue. It said some guests have also decided to give Singapore a miss. Meanwhile, the crowd at Boat Quay, a popular spot with tourists and office workers, has also thinned. Some F&B operators at Boat Quay said earnings have dropped by more than 50 per cent in the last two days and some customers have also cancelled their reservations. As business slows down, some operators said they will probably cut back on the hiring of part-time staff. If the haze persists throughout the third quarter, economists said it could potentially hurt Singapore's economy, which is expected to grow by between 1 and 3 per cent this year. Last year, over 14 million tourists visited Singapore, spending some S$23 billion. Economists said the growth picture could get cloudy if they stay away. In response to Channel NewsAsia's query, the Singapore Tourism Board said it is premature to determine the extent of the impact of the haze on the tourism sector, and it is monitoring the situation closely. Meanwhile, the construction sector - another important growth driver - may be affected if the government issues work restrictions. Song Seng Wun, regional economist at CIMB Research, said: "If we were to put the two together… (If) 5 per cent from the construction sector stop work, in the hospitality-related tourism industries another 5 to 6 per cent, that's 10 per cent of Singapore's economy. If assuming everything remains constant, that can potentially be knocked off the Singapore economy, so it can make a difference between growth and contraction in that worst-case scenario." On top of that, a decline in economic activity could also affect productivity. But economists said even if Singapore's economy takes a hit in Q3, it should rebound fairly quickly in the following quarter once the haze clears, and assuming the global economy holds up well. SINGAPORE — Before the Government’s announcement yesterday evening that some 200,000 low-income households will receive one million N95 masks starting tomorrow, some Singaporeans swung into action to offer some relief to the less fortunate, by collecting and distributing masks and appealing for donations of air purifiers and electric fans for nursing homes. Businessman Laurence Wong, 40, who plans to distribute masks today around Bukit Batok, managed to collect about 100 after a frantic islandwide hunt. “We want Singaporeans to know you can do your part to your neighbourhood,” he said, adding that he had hoped — and failed — to find more masks. On the Internet, news site The Online Citizen posted an open call on its Facebook page asking for information on hospitals or nursing homes which did not have enough air purifiers. After St Luke’s Hospital responded, Jurong GRC Member of Parliament (MP) David Ong got in touch and air coolers and purifiers were secured for the hospital. SG Haze Rescue, which began collecting and giving out masks on Thursday, yesterday posted a Google document with information on which areas were in need of them and which have received help to avoid duplication of efforts. To give voluntary welfare organisations (VWOs) a hand, the Community Chest yesterday set aside an “initial sum” of S$200,000 for VWOs to tap to purchase items like masks, mobile fans, air filters or portable air-conditioners to protect the elderly and the young. Several MPs have also kicked off assistance efforts. Marine Parade GRC MP Tin Pei Ling said in a Facebook post last night that some of the Residents’ Committee centres in the constituency will extend their opening hours, with timings to be adjusted according to the situation. Chua Chu Kang GRC MP Alex Yam said he is looking into having volunteers to man Community Club halls so that they can remain open round the clock. Worried about ventilation issues for those who kept their windows closed at night, he has also made a plea for donations of fans. So far, about 360 fans have been donated — the majority by electrical appliances company Akira — and they will be distributed door-to-door tomorrow. Mr Yam said that one challenge was educating those who might not have kept track of the news, especially the elderly. A “personal touch” is needed to explain the benefits of wearing masks or staying indoors, he added. Indeed, when TODAY visited housing estates in Redhill yesterday, many of the elderly playing checkers or lounging around at void decks appeared nonchalant about the poor air quality — even though three-hour Pollutant Standards Index readings surged to a record 401 yesterday before dropping to below 150. One of the onlookers at the checkers game said none of those present could afford a mask and, “even if we could, we do not know where to buy them”. Acting Manpower Minister Tan Chuan-Jin, who is the MP for Marine Parade GRC, said there was a need to “assure our residents and to clarify concerns and misperceptions”. “We need to assure our residents about the situation and to stay calm. Not everyone needs the mask as it depends on their condition and the nature of their exposure,” he said in an email in response to TODAY’s queries. He said volunteers and grassroots leaders visited some rental units last night. “We want to check on their conditions so that we can follow up if needed. We are updating them on MOH (Ministry of Health) subsidies. We are also distributing N95 masks to those who may need (them),” he added. SINGAPORE — The Government yesterday took pains to explain its use of the 24-hour Pollutant Standards Index (PSI) reading when calibrating its response to the haze situation, saying that it is a better reflection of the impact of the smog on health, compared to the three-hour reading. At a press conference helmed by the Haze Inter-Ministerial Committee, Second Minister for the Environment and Water Resources Grace Fu pointed out that the three-hourly PSI readings fluctuate widely. “The health impact of the air pollutants is determined by both the concentration and the duration of exposure. When we measure the health impact, the 24-hour measurement is a better reflection of the total exposure of the individual to particulate matter,” said Ms Fu, who was standing in for Environment and Water Resources Minister Vivian Balakrishnan, who was flying back from a ministerial meeting in Jakarta. Defence Minister and Chairman of the committee Ng Eng Hen elaborated on this point, saying that the effects of exposure to pollutants are based on a “continuum” rather than a “threshold”. “The effects are based on factors such as the length of exposure, how dense the pollutants are and individual variation. Second, the studies co-relating such exposure to pollutants are for 24-hour measurements. There have been much less data correlated with three-hour measurements. For this reason, our health guidance is based on 24-hour PSI,” said Dr Ng. However, doctors pointed out that Singapore’s situation is different from that of, say, Hong Kong or Mexico, where the level of pollution is constant throughout the day. Dr Lim Ing Ruen, an ear, nose and throat surgeon at Mount Elizabeth Medical Centre, felt that neither a 24-hour nor a three-hour measurement will give a very good picture of the health impact. Whether one has a pre-existing condition is also a factor. “If you are asthmatic, any level of PSI can set you off,” she said. The committee was also asked why previous advisories indicated that the public should avoid physical activities outdoors when the PM2.5 reading — which measures particles smaller than 2.5 microns — was between 150 to 250, but now they are only told to avoid strenuous activities and stay at home or wear a mask. Dr Ng stressed that a “higher-level advisory” would be issued when PM2.5 levels warrant it, but for the sake of clarity, the readings for now are “simplified” for the public. He added that medical professionals have said this is “sensible”. He also reiterated that the daily advisories for the public and workers do not indicate “a hard line for stoppage of work or closure of schools”. Minister of State for Health and Manpower Amy Khor urged employers to “remain vigilant and exercise flexibility”. She said: “There is no hard line for everything to come to a stop ... it depends on the nature of work, whether it’s indoor, outdoor, whether it’s strenuous, the health of the workers, whether they are frail, elderly and so on.” She also urged employers to show understanding and allow their staff to take leave if necessary. At a technical briefing after the press conference, Dr Lee Hock Siang, Director of Occupational Safety and Health Specialist Department at the Ministry of Manpower, said that employers could be prosecuted if they do not follow the advisory, for example, if a worker is made to operate cranes when visibility is low. THE Government yesterday set out to assure a country coming to grips with the haze, as it pledged to give out free one million N95 masks to lower-income households and sketched its game plan if pollution levels rise. For a start, some 200,000 of the poorest households and the vulnerable will get the free masks, which will be distributed by grassroots groups from tomorrow, with the Singapore Armed Forces helping with the roll-out. National guidelines will also be spelt out for how businesses and the community should respond if the 24-hour Pollutant Standards Index (PSI) reading rises beyond 300, which has not happened to date. In the first briefing by the Haze Inter-ministerial Committee, chairman Ng Eng Hen also urged people not to let the haze overwhelm them as the country cannot grind to a halt because of it. "We need to keep Singapore going even if the haze worsens, but take further steps to alleviate the exposure," he said, stressing that therefore stop-work orders or closure of schools were not sensible or sustainable prescriptions. His comments came after the grey fog shrouding the island worsened yesterday at one point to another record high, hitting the three-hourly PSI reading of 401 around noon, even as queues formed at pharmacies for the N95 masks. Some shops put up sold-out signs, as tempers frayed. Giving the assurance that there are enough masks for Singapore's needs, Dr Ng, who is also the Minister for Defence, said panic-buying was creating "supply chain bottlenecks". "We are dealing with this decisively, to push more masks to retail outlets." Popular outlets, including FairPrice, will be getting more masks. FairPrice will cap the price, but also limit the number a person can buy. Dr Ng also reiterated that healthy people do not need masks unless they work outdoors when the 24-hour PSI reading is over 300. Indeed, whether a person needs an N95 mask depends on the PSI level, the state of his health and only with prolonged exposure, such as having to work outdoors for hours. On the free masks, he said the task of distribution will take a few days. "I ask for understanding and cooperation from the public," he said. People with pre-existing diseases who have difficulty getting such masks can also approach their grassroots organisations, and "we will give it to them", he said. Turning to guidelines for when the 24-hour PSI reading crosses 300, he said these should not be treated as "panic lines" to enforce work stoppage or school closure. Rather, the focus should be on protecting the vulnerable and limiting their exposure. The haze pollutants exist "all around us", he noted. Various ministries and the agencies they work with will draw up continuity plans that will minimise exposure to the pollutants. These include childcare centres, voluntary welfare organisation homes, schools and shipyards. The Manpower and Trade and Industry ministries are also working with businesses to ensure that they get N95 masks needed for employees who work outdoors. At the press conference, Health Minister Gan Kim Yong said that public hospitals can cope with the expected surge of patients caused by the haze. SINGAPOREANS rushed out to buy N95 masks yesterday morning, the day after the Government announced it would be releasing stocks to pharmacy stores. But many shoppers could not get their hands on them at pharmacies such as Unity, Guardian and Watsons as most of their outlets had run out of the masks by lunchtime. Printing manager Amin Mohamed, 61, visited two Guardian outlets and a Unity pharmacy in Tampines but could not find any N95 masks for his family of five. "I had to come out in the smog to look for them, and there is supposed to be enough for everyone," he said. Eventually, he bought two-ply surgical masks from Giant hypermart, "which is better than nothing", he said. Watsons' merchandising and marketing director Micheas Chan told The Straits Times it has more than one million masks. They are being delivered to its stores "in the shortest time possible", but there may be "intermittent lack of stock at various outlets" owing to overwhelming demand, he said in an e-mail reply. A Guardian spokesman said about 50,000 N95 masks will be distributed across its stores at the weekend, starting last night. To ensure there is enough for all, she said Guardian has set a limit of 10 masks per customer. Queues also formed at pharmacies in hospitals, which ran out of masks quickly, leaving many people disappointed and upset. To beat the crowds and queues, people are also searching for masks online. Ms Goh Yiping, founder of group-buying site AllDealsAsia, said it has received orders for nearly 30,000 N95 masks and 100 air purifiers. Her company ordered about 100,000 masks from Hong Kong, China and the United States, and they were to arrive in batches from yesterday. A new fund of $200,000 was set aside yesterday by Community Chest, the fund-raising arm of the National Council of Social Service, to help buy masks and air filters for the vulnerable, like the elderly in senior day activity centres. As of yesterday, there were two takers - Persatuan Pemudi Islam Singapura East and Marine Parade Family Service Centres. Meanwhile, the Consumers Association of Singapore (Case) has raised the red flag over those profiteering from mask sales. In a statement yesterday, its president Lim Biow Chuan urged suppliers and retailers to "remain transparent and abide by the regular recommended retail price". Case also advised people to exercise caution when buying masks of unknown brands or from online retailers, as these "may not provide adequate protection from the haze". At a briefing yesterday, health officials said there was enough stock of N95 masks for the public. These masks, they added, can be re-used as long as they are not bent out of shape or soiled. People do not need to wear them indoors. The officials also said pregnant women should not keep the masks on for too long as they limit air intake. As N95 masks are now not certified for children, it is better that they stay indoors as far as possible rather than wear the masks when outdoors. The N95 masks retail at between $1.80 and $3 each. MALLS, restaurants, hawker stalls and tourist attractions are bracing themselves for smaller crowds as the haze bites on what should have been a typically busy June holiday weekend. Business had already been slow all week, said the Singapore Retail Association, which estimated an 8per cent to 12per cent dip so far. Shops in town areas say the situation is far worse, and is likely to deteriorate further - even with the ongoing Great Singapore Sale. "Despite our end-of-season sale, which was launched last weekend, we have seen a 60per cent drop in customer footfall," said Mr Stan Lee, director at Swagger boutique on Ann Siang Road. Restaurants are faring no better, especially those with outdoor seating. At Dempsey Hill, reservations at Jumbo Seafood are down by as much as 40per cent. "Customers have been calling to change outdoor reservations to indoors. If that option is not available, they cancel their reservations," said Mr Shaun Chan, marketing manager for the Jumbo Group of restaurants. Some have even removed al-fresco seating entirely. "For now, no one is allowed to go to the rooftop," said supervisor Shah Rul of Kinki Restaurant and Bar, which overlooks Marina Bay. Hawkers are also suffering. At the Toa Payoh Lorong8 food centre, stallholders reported thinner crowds in the evening. Diners who braved the smog said they were finishing their food quickly or having it packed for home. Business had dipped by up to 50per cent for some stalls. "The air is bad, and the smoke from our woks doesn't help," said Mr Wu Cai Xing, a helper at Good Luck BBQ Chicken Wings. On the flip side, online stores and food delivery services are reporting better business. But on the tourism front, attractions have drawn fewer visitors - or shut down altogether. 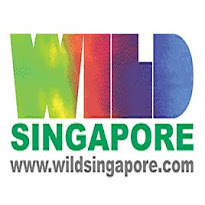 Resorts World Sentosa closed three of its outdoor attractions yesterday, while Wildlife Reserves Singapore suspended all shows and activities at its parks yesterday. Association of Singapore Attractions chairman Kevin Cheong warned that revenue will slide sharply if the haze does not subside in the coming weeks. The Singapore Tourism Board said yesterday that "it is premature to determine the extent of the impact of the haze on tourist arrivals and revenue". But Barclays Research noted that Singapore's tourism arrivals fell by 15per cent during the 1997 haze, and by 6per cent when the smog last hit in 2006. This year's slide in revenue is likely to fall between those figures, it said. Professor Euston Quah, head of economics at Nanyang Technological University, calculated that the 1997 haze cost Singapore up to $268.3million in tourism receipts. This year's figure could be higher due to the higher PSI. Hotels and travel agents said there were few cancellations so far, but there were ominous signs at the Marina Bay Sands SkyPark, which was almost empty during sundown. The few tourists who braved the open air retreated indoors quickly. Said Japanese visitor Toshiaki Tominga, 34: "I wanted to stay for a shot of the sunset, but I think I won't any more." Street traffic in Southeast Asian cities is thinning out and air traffic controllers are taking extra measures to ensure planes are well-spaced to account for the thick haze that has blanketed parts of the region, reaching hazardous levels over the past couple of days, but sea traffic in one of the world’s busiest waterways is proceeding without serious interruptions, at least so far. The 805-kilometer Strait of Malacca, a channel that separates Indonesia’s Sumatra island and the Malay peninsula, is the shortest sea route between the Persian Gulf and Asian markets. Over 70,000 vessels a year ply the channel, carrying a third of global trade and almost half of world’s oil shipments. Although authorities and industry officials worry that poor visibility raises the likelihood of accidents when the haze thickens–an annual event in the area, mostly fed by smoke from fires that are deliberately set to clear land for oil-palm plantations–they aren’t moving to enforce any systematic changes in how the traffic flows through the strait. A drop in visibility below two nautical miles, around 3.7 kilometers, automatically triggers hazard warnings by port authorities. These include among others, tracking all inbound vessels and issuing specific navigational advisory to ships in the vicinity of a port and even a complete ban on small vessels in the area, said K. Subramaniam, assistant general manager at Malaysia’s Port Klang. Visibility at Singapore’s port is, well, unclear. A PSA Singapore Terminals spokesman told The Wall Street Journal Friday that he didn’t immediately have any information on any warnings. On Thursday, the PSA said it was “monitoring the situation closely,” and was taking precautions with respect to workers’ health. “Although the sailors are trained to navigate through low visibility, the density of traffic raises the danger of contact in the narrow channel,” said Daniel Tan, executive director at Singapore Shipping Association, a grouping of shipping companies in the city-state. At Phillips Channel, close to Singapore, the Strait of Malacca narrows to just 2.8 kilometers. Accidents due to haze have been rare, as most vessels are equipped with sophisticated satellite-guided navigational devices. In 2005, a container ship ran aground due to poor visibility when Malaysia declared a state of emergency in coastal areas of Port Klang and Kuala Selangor. In July 2009, shipping was halted near Indonesia’s Port of Damai, where visibility fell to less than 0.2 nautical miles. –Gaurav Raghuvanshi in Singapore contributed to this post.